Whilst I realise it's October and may of you won't have given Christmas much thought advent calendars are becoming more and more popular and seem to sell out fairly quickly, hence my decision to post this now. This year there seems to be a huge variety for all ages on the market making it almost impossible to choose just one! I know these won't be everyones cup of tea, but I actually like the idea of a calendar that isn't chocolate or sweet based and I think they make lovely gifts. "A WOMAN WITH A VISION EMPOWERS AN EMPIRE OF WOMEN TO DO MORE, SEE MORE AND BE MORE." Whilst looking through pinterest recently I came across this quote and it really stood out to me. 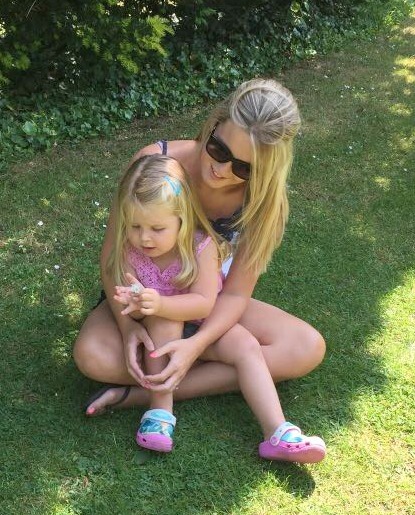 I am a young woman but when it comes to supporting and encouraging other women and mums I like to think I have it covered. I'm far from perfect and I have made (and continue) to make many mistakes, as a woman, a parent and as a wife. However, I have a passion to help other women, particularly mums, to try and inspire them and help them feel good about themselves. How many other mums out there hate cleaning bottles? Surely I am not the only one?! If we are all honest, no matter how hard you try and with the best will in the world, over time all bottles end up a bit cloudy. I have seen the Nimble Babies Milk Buster floating around the internet recently, and it did catch my eye but if I'm completely honest I thought 'Ok a fancy (more expensive) washing up liquid.' Let me tell you how wrong I was! Having tried and tested it I can confidently say it's nothing like your standard washing up liquid and it really does do what it claims to. Brett and I had a major parenting fail recently, all of a sudden Oscar seemed to have a growth spurt and we had no clothes for him *insert monkey emoji covering face here*. He is so awkward with his sizing, having only just grown out of 0-3 bottoms and still in 6-9 tops we've had him sorted since he was born. Despite it still being around 28 degrees in Cyprus I'm beginning to pick up lots of Autumn and Winter bits, believe it or not the weather does change and you definitely need some warmer layers and a raincoat! I found out the hard way last year! I wanted to mark Pregnancy and Infant Loss Awareness week by joining many others and writing a post about our experience. This post is in many respects the easiest I could ever write, however, I've found myself putting it off for months, started and deleted it numerous times and left it as an untitled draft. The last week, as most of you will know, I have been in hospital due to premature labour (which thankfully, has settled, for now). I had my laptop with me and began to write what Brett and I went through, but nothing seems appropriate, I'm a pretty open book, I can and have talked openly about what happened and what we went through. For some reason I have really struggled to write it down in a blog post, sharing the intimate details just doesn't feel natural in this instance, for me. I'm actually 21 weeks but the last couple of weeks have been nice and hectic as usual so I'm a little out of sync! In terms of the baby, everything is OK. Things with me haven't been great but that's just ongoing issues which we were semi aware of. 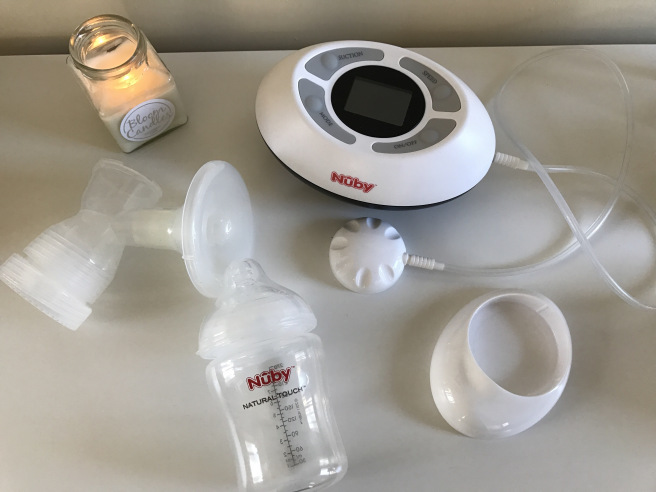 Weaning can be daunting for any parent, whether it's your first or third child, it certainly has been for me. When it was Emelia's turn it was so easy, she began showing an interest and tasting foods at 4 months, whereas Oscar has been the polar opposite, even at 6 months he showed no interest what so ever. I was beginning to feel quite deflated, health visitors and other professionals were telling me what he should be having but no matter what I tried nothing worked, he just refused. I tried both bought and home made purees, finger foods, foods we eat, baby rice - everything. 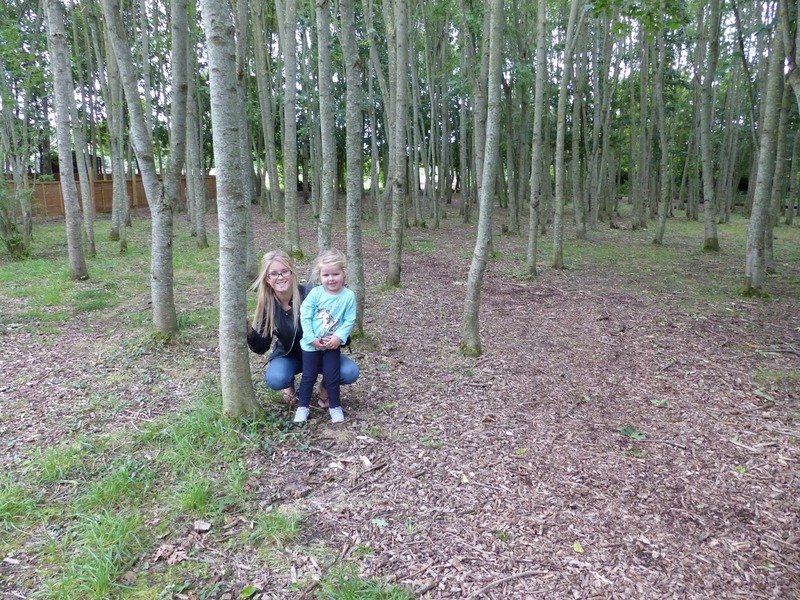 Hope Nature Centre and Animal Park is a charity run by young people with learning disabilities in Southwick, Wiltshire. The charity was founded in 2000, in May 2006 after six years of fundraising the tea room opened. The following year chickens, ducks, geese, rabbits, goats and a pony all found a new home in the nature centre and May 2008 saw the opening of the animal park. 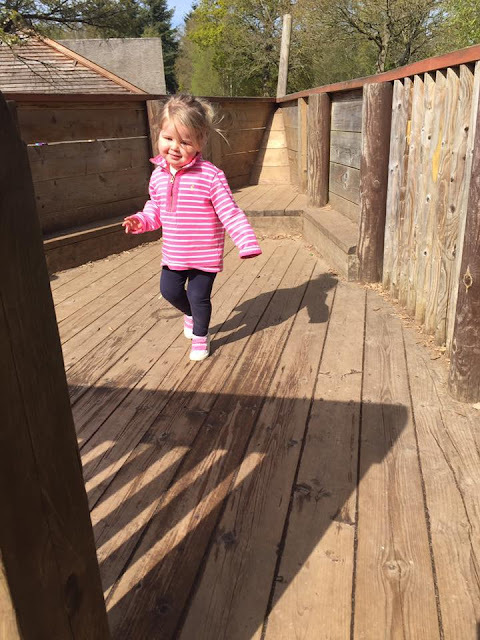 The park is now home to may more animals and has approximately 700 visitors a week. 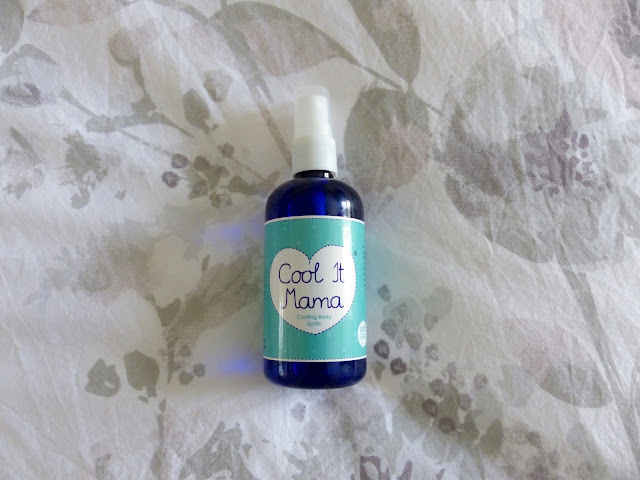 I had my eye on the Cool It Mama spritz for a while before purchasing it and having used it constantly over the last few months I have to ask myself why I didn’t pick it up before. To be honest, probably as I was sceptical about a product that is meant to cool you down, but it really does work and not only that, it smells beautiful. Choosing a baby name is to me, one the most important and overwhelming task you're faced with as a parent. We've never been particularly bothered about choosing a name that's trendy and standing out and being different has never been in the forefront of our minds. To us it's about the child and their future. Regardless of how we may think our society act, people seem to be judged on their names, so we have always taken this into account. I think it's important to imagine a name you like on an adult as well as a child, to me some names are absolutely fitting for a baby but maybe not so much for an adult, and vice versa. I am a HUGE fan of clothes shopping, but I have to be honest, maternity clothes don't really do it for me! I find a lot of them to frumpy and ill fitting - for me anyway. I wouldn't call myself a style icon or even particularly fashionable, especially during pregnancy. At the moment it's hot, so I've been living in shorts and vests (pyjamas at home! ), but as I getting bigger Autumn/Winter will arrive, my least favourite seasons which isn't a great time to be struggling for outfit ideas! 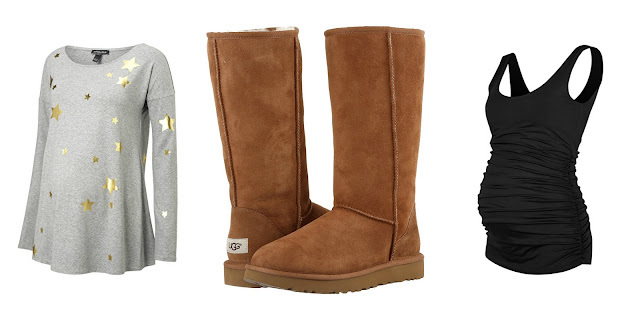 My go to maternity clothes are leggings, a long vest and cardigan or jumper. I have some maternity jeans but I'm yet to find a pair that I really love. I also don't think you need to invest in a great deal of maternity clothes, but I do like to have a few staple items which I can mix in with my normal clothes. Managing your time equally between your toddler and newborn is something, with the best will in the world, you can't prepare for. Thinking the other day about Emelia, and how well (on the whole) she has adapted to a new baby made me think how I'd feel if Brett came home one day and said "This is my new wife! She's going to be around for the rest of our lives, I'll still love you and spend time with you but she will need to be included in everything." Umm, I don't think so! 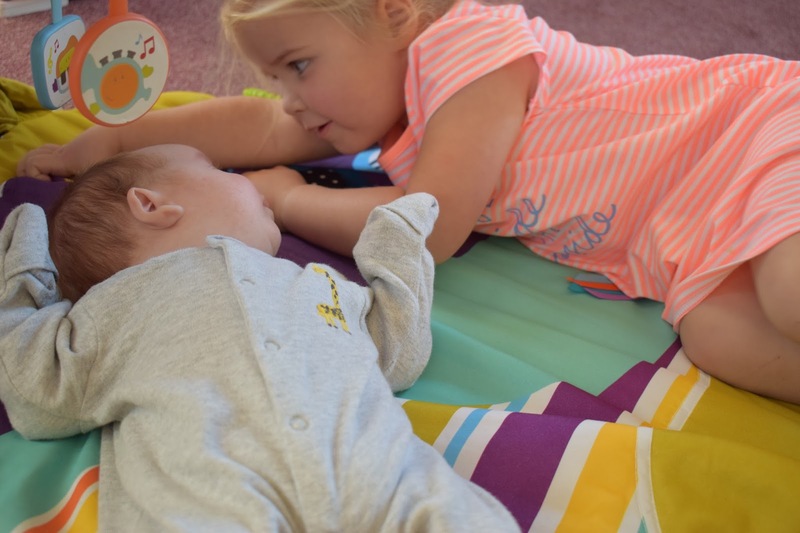 Far fetched I know, but for your toddler, this is how things can seem the second they meet their sibling, and more so from the moment they're brought home. 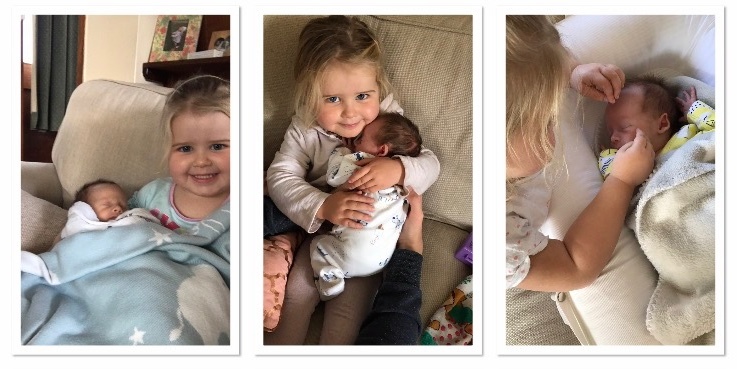 Excitement is likely to be the first emotion displayed, it certainly was for Emelia, but the realisation that a new person has joined the family and steals a lot of time with mummy and daddy means the tantrums begin to set in and all hell breaks loose. This update is several weeks late, but better late than never right? When I found out we were expecting again I couldn't wait to start documenting everything, particularly as I had never done so before. From day one we have been faced with hurdles and uncertainties surrounding the viability of the pregnancy. Fortunately, the baby has been developing perfectly and on that front there are no issues. 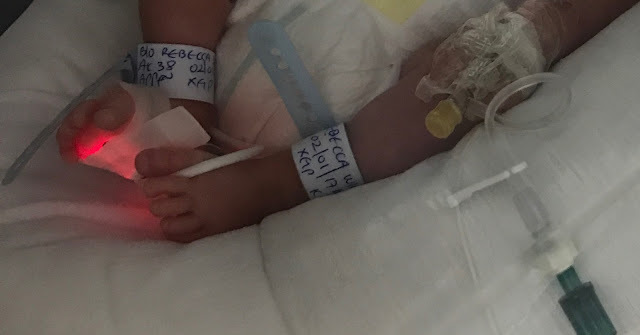 Having lost a baby late into the second trimester and then a premature labour and delivery with Oscar, we were told from the outset the chances of another preemie are extremely high or I could miscarry at any stage. We've had a few scares already but the staff at the medical centre and my consultant at the hospital have been outstanding, I'm being closely monitored and they're doing everything within their power to keep this pregnancy going for as long as possible. 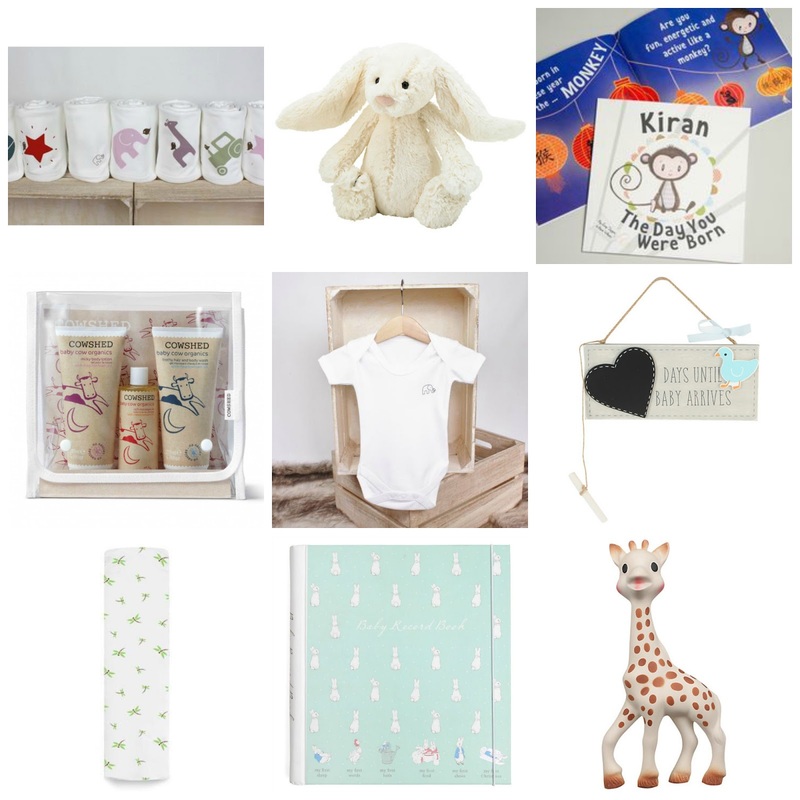 Baby Showers are more popular than ever before, for us in the UK it seems anyway. Not something I've ever had personally, but they are something I have (and seem to be a lot recently) shopped for. I have to say, I am one of those gooey women who love looking at anything baby related. I definitely get over excited when it comes to cute baby items, a cuddly toy, blanket or even a nicely dressed crib! So whenever one of my friends is expecting I love to look around and see what's new in the baby market. When it comes to buying new baby or baby shower gifts I think we can all agree it's much more exciting to choose a pretty outfit or snuggly teddy over something practical like carseat adapters or a steriliser. I've rounded up some cute (and hopefully semi practical) items which I think are perfect to both give and receive, these are all personal favourites of mine, some of them I've received as gifts and some I've bought for friends. Tuesday 10, a new series I'm bringing to my Blog! 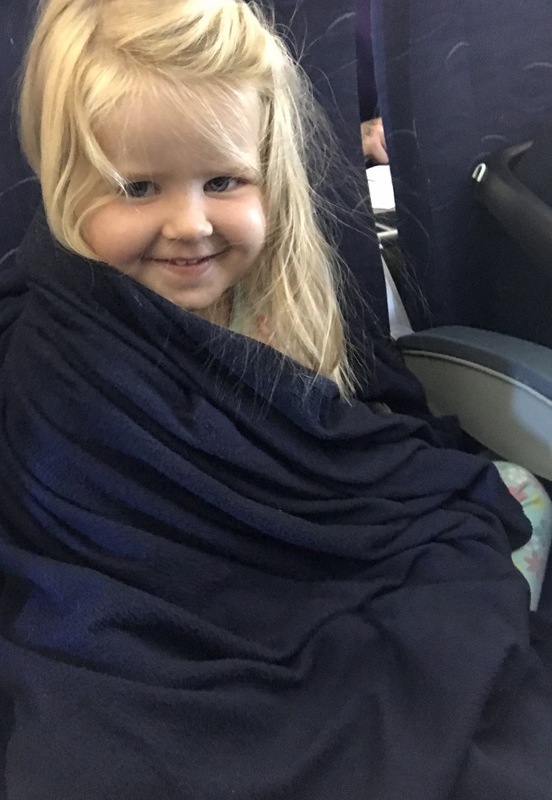 As I'm travelling back to the U.K next week what better way than to kick off our first post with my 10 Top Tips for a relatively stress free travelling experience with children. I am SO behind on Oscar's updates that I almost gave up with them, but this is my attempt at getting back into the swing of them! So here we are, Oscar is 7 months old - How that happened I don't know. It's so cliche to say but the time really has flown by. For the most part we are lucky and he is a happy and easy baby. The only issue we have really had has been his feeding. He has never been a brilliant feeder, something that's always been put down to him being premature, but I always had a nagging feeling that there was something more going on. Whenever I took him to be weighed I would mention that he wasn't feeding well, he would take ages, sometimes up to or over an hour for a few ounces. He'd cry, vomit and had nasty nappies. For weeks and weeks this was dismissed and I was told to 'see how he goes.' I think the doctors were getting irritated by us taking him in frequently saying we (I) thought something was wrong with him. Me & You Raising... THREE?! "I'm not sure I understand what you're saying? This must be wrong, I'm on the pill?!" The doctor assured me it was in fact true, I was pregnant. 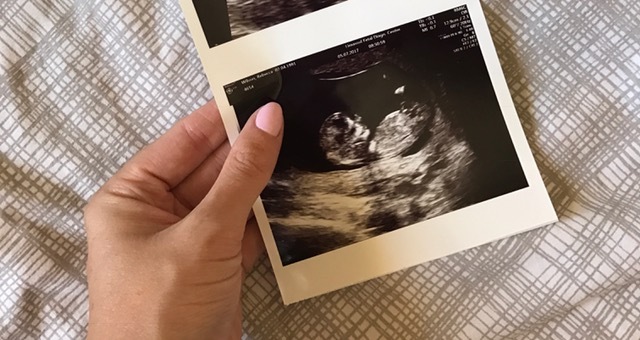 I am pregnant - again! With Summer on the horizon and party and wedding season rapidly approaching I've been on the look out for an outfit for Emelia. We've got several parties and a wedding to attend this year and I wanted something that would be versatile but different and a little bit special. 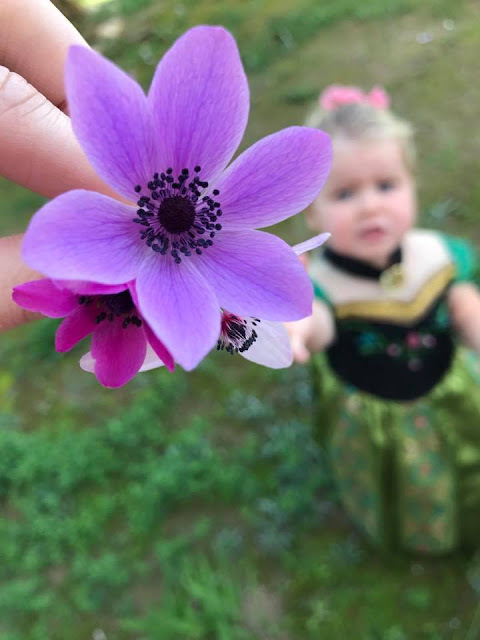 Emelia received this beautiful Vintage Fairy Cat dress from The Essential One*, it's available in sizes 3-6 months right up to 5-6 years, the retail price is £22.49-£24.99, however, it's currently in the sale with 50% reduction (I believe all sizes are in stock at the moment). If you know me, you'll know I love books and I love having books around for the children. Emelia has quite a selection now but we are always on the look out for something new and we love anything and everything that comes with the option of personalisation! Easter is my favourite time of year, and it's pretty big in Cyprus so there are plenty of decorations to choose from! A friend and I are hosting a coffee morning tomorrow (Good Friday) so what better excuse is there to whip out my baking tins?! 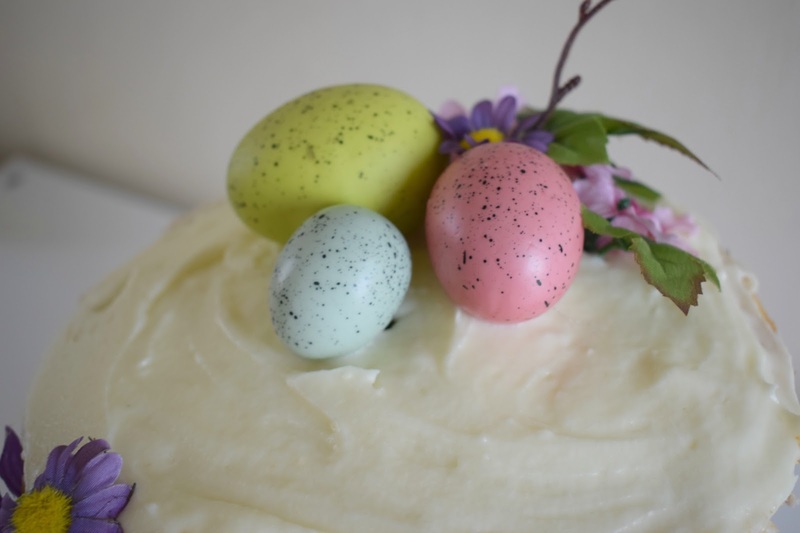 I decided to make two recipes, so for any of you wanting to make some last minute Easter treats, here's what we've made. They say the first year of marriage is the hardest. 'They' also the 3 most stressful things to go through as a couple are getting married, moving house and having a baby. Throw another house move, a 4 month deployment to the Falklands and a stillborn into the mix and that was what the first year of our marriage consisted of. I look back over the last few years and I wonder how we did it, how we have fought through everything that's been thrown at us, things that would have completely broken some and at times very nearly did to us. I believe we have something special, that has kept us fighting and kept us together. We have been through so much in such a short time and I am so proud of how us and what we've achieved. 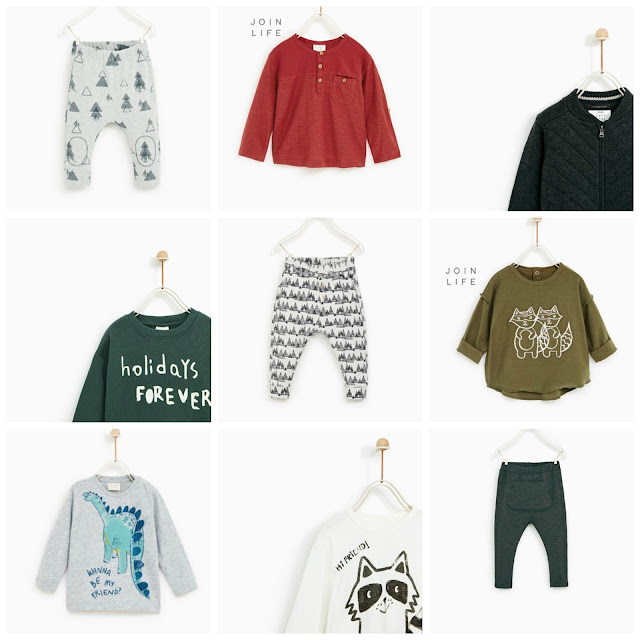 Baby items are some of the most exciting things to purchase - for me anyway. 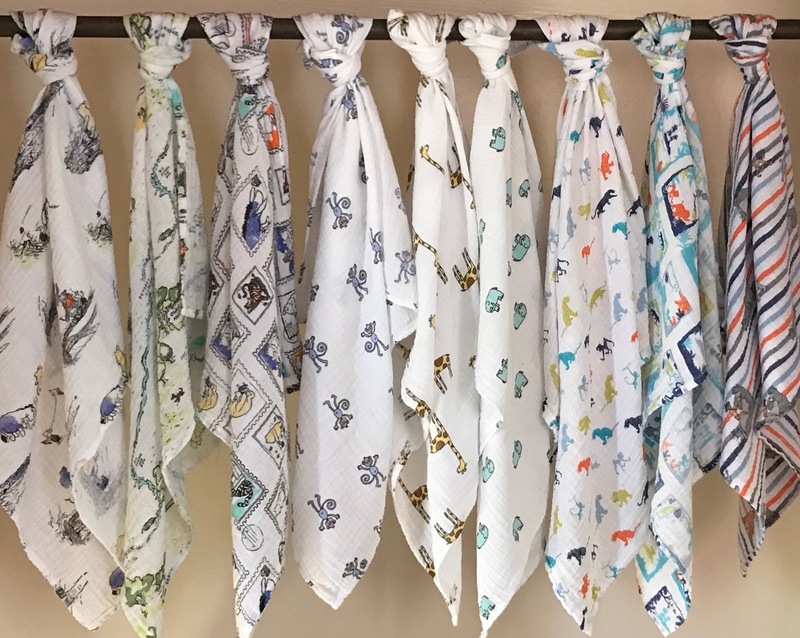 Whether I'm buying for my own baby or as a gift, I'm always on the look out for something a little different, something that I'm not going to give that the recipient will receive 3 of. If there is one thing I have learned recently it's that a lot of baby clothes go to waste and it's such a shame. Today is Mother's Day, a day we are supposed to celebrate and be joyful, a day, like many occasions, if looked forward to for weeks, months or perhaps years, a day that realistically, might not live up to how your expectations. Today I have seen many, many messages on social media from people thanking their mums, showing their presents or pictures capturing their day. But then there are the people who are wishing Mother's Day away, maybe it hasn't gone to plan, your expectations and hopes for the day haven't been met, or maybe you so desperately want to celebrate but for whatever reason aren't able to. As I sit here I can't help think how sad Mother's Day can be. 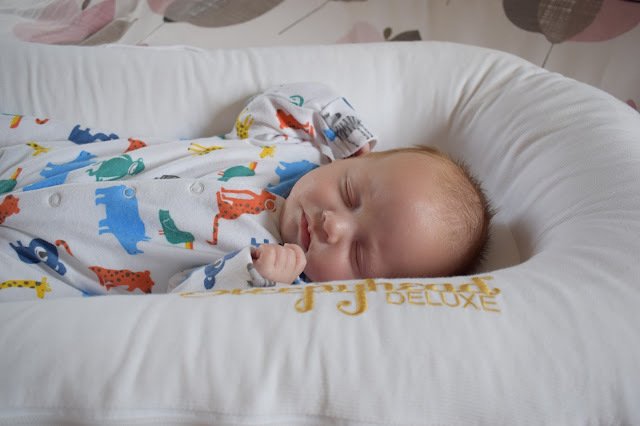 Blogging has taken a bit of a backseat this week, we've had visitors but mostly because Oscar hasn't been well, he came down with Bronchiolitis and needed lots of TLC. Cuddles have really been the only thing to settle him this week, which at times are really hard to give. I have Emelia to look after too and the tea won't cook itself! That's when I remembered I had the MyHummy white noise bear, 'Ash' and let me tell you, this bear has rescued me numerous times this week, and saved my sanity at 3am! Having a baby in Neonatal Intensive Care is something you would never expect to happen nor can you prepare for. You'll feel emotions of grief, depression, anxiety, guilt and fear throughout your NICU journey, whether it's a day, a week or a month. 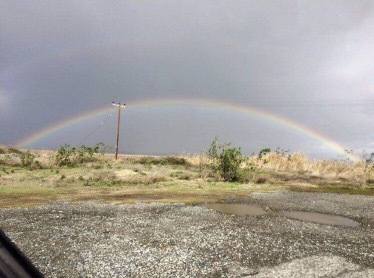 You will celebrate things you wouldn't have before and witness heartbreaking moments you could never have imagined. 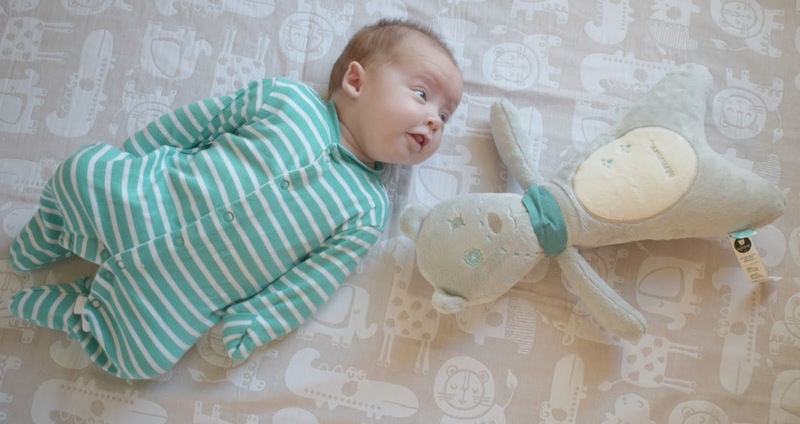 Safer Sleep Week: An Excuse For Some To Make Us Feel Inadequate? Before we start a huge debate/argument about whether co-sleeping is good for your child let me put in a (large) disclaimer. There is a plethora of research and blog posts displaying opinions about co-sleeping. At the moment you don't have to look far to come across one, to show there are two explicit sides to the co-sleeping argument. Co-sleeping in many cultures is actually the norm, in the UK, the US, Australia and other western cultures we are not always given this as an option by our healthcare providers when they are educating us about caring for our babies. There was a look of horror on the face of a health professional I recently saw, where I admitted to co-sleeping. My husband and I are very happy with the arrangement and feel the pros outweigh the cons. When you mention co-sleeping, some look at you strangely and others are relieved you've brought it up so they can admit to doing it too. I neither advocate nor condemn co-sleeping. We have tried both and right now, due various reasons we have decided to stick with it. We are no strangers to the hospital of late, between Oscar and I we've spent the equivalent of 2 months in the place. On Monday, Emelia was admitted, we were so shocked. She hadn't been herself for a couple of days but I thought she had a cold, possibly something brewing, but she was still playing, wanting to swim etc. so I thought she must be ok (major mum guilt now). We went to collect her from nursery and I could tell by looking at her she wasn't right, her face seemed slightly swollen and her cheeks were bright red. Her key worker said she hadn't spoken or eaten once all morning and they'd just taken her temperature which was 38. I took her straight to the doctor, to be honest, by now I thought she had tonsillitis, she has had it before and her symptoms were very similar. The doctor examined her for what seemed like ages, her heart rate was up, she was dehydrated and sugars showed in her urine. The doctor was concerned she had developed diabetes so referred her to hospital for urgent assessment. We've all been there, and if you haven't yet been there, I'm sorry to tell you, it's coming. 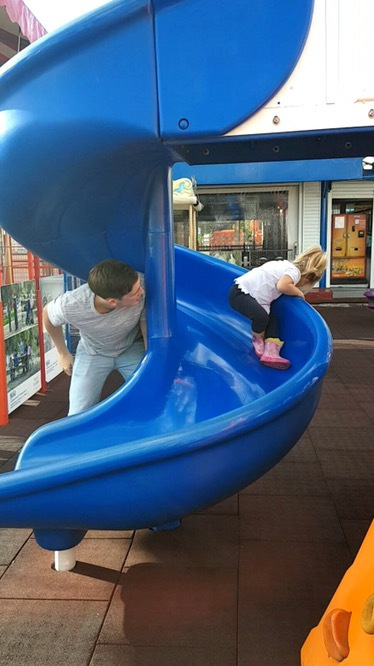 The dreaded, moment your child has THE meltdown of their life to date, in public. You can feel the eyes on you, everyone is looking, watching, judging, some emphasising watching not only your child scream, shout and throw themselves around like they're being murdered but you. They're watching to see how you're going to deal with the situation, particularly, to see if you're going to handle it the 'right' way. Every other day a pregnant or recently pregnant woman dies in the U.K. 2/3 of maternal mobidity aren't due to pregnancy itself, but a medical or mental health condition. During or immediately after pregnancy 23% of maternal deaths are cause by CARDIAC CONDITIONS, 14% are caused by PNEUMONIA or INFLUENZA and 11% are caused by INFECTION/SEPSIS. Thursday 2nd March 2017 - Oscar is 2 months! Wow, how has that happened?! It's so strange looking at him as a 2 month old baby when he should have only just been born. February went by super quickly, we've had visits from both my Mum and Brett's mum, which meant 2 weeks were automatically filled. It's always lovely to see people, but it goes so quickly and you end up feeling a bit crappy for the couple of days after they leave. 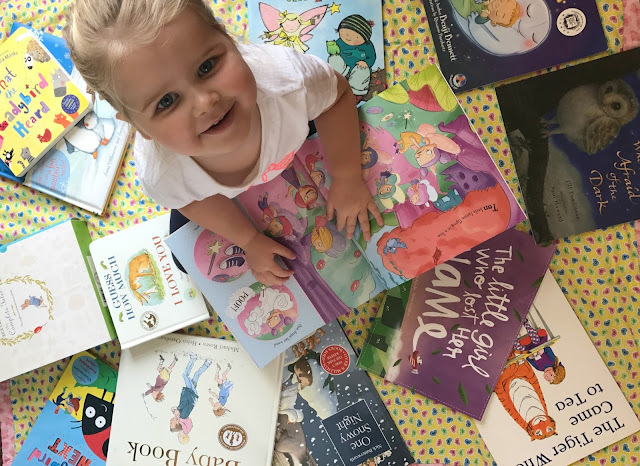 I love to have books around the house, being pregnant with Emelia was a great excuse and opportunity for me to start her collection. We love going into book shops and discovering new books. I've been to people's houses before and there's not a book in sight, I can't fathom why people don't see how important books are for children and their development. 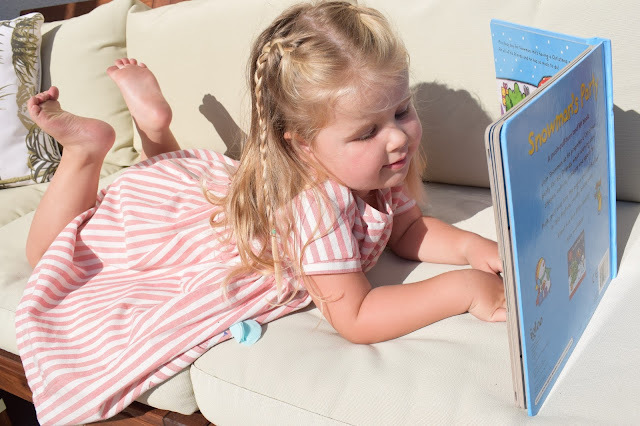 I am passionate about helping my children develop a love for reading, reading helps children develop into confident, enthusiastic readers and learners. 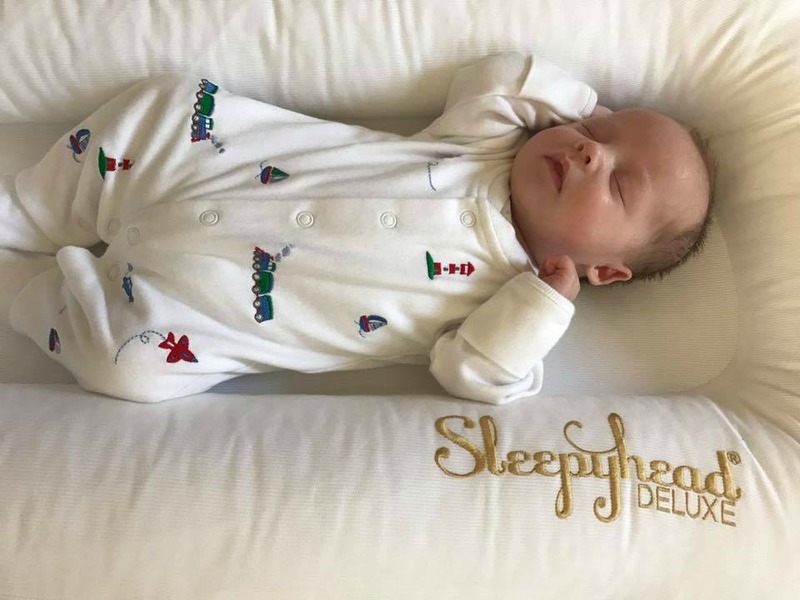 The Sleepyhead Deluxe has rapidly become my favourite baby product. Those first moments you have with your newborn are amazing, the moment the doctors pass him/her to you and you see what they look like, those precious first few days where you sit staring at the wonderful bundle you've just brought into the world. 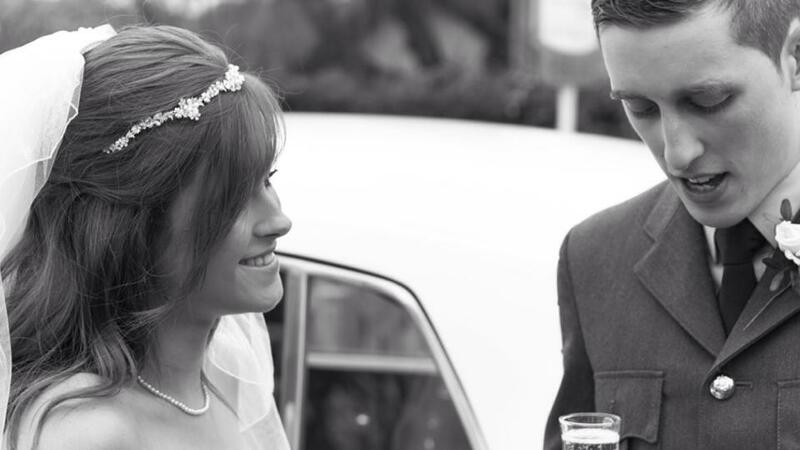 For me it was different, Oscar's premature birth left me feeling cheated. I had to be put to sleep for his delivery and when I woke up hours later, he was in Intensive Care. A unit that had such strict visiting hours, meaning I wasn't able to see him until the next lunch time. 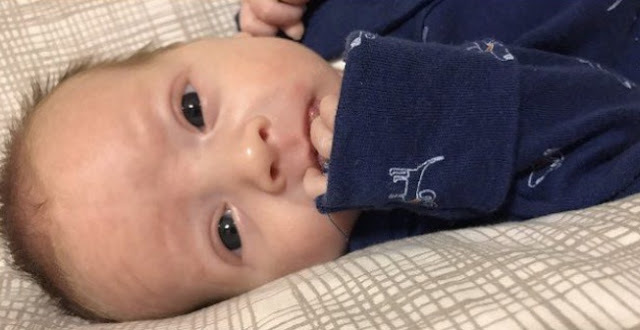 I lay there devastated, I had a baby, but felt as though I didn't, everyone around me had their baby and I didn't even know what mine looked like. From the day she was born Emelia has always eaten well. She thrived when weaning and would eat pretty much anything I put in front of her. I do however, think every child goes through a fussy eating stage. Recently I've noticed her eating habits have changed, she has still eaten adequately but no where near as well as she has previously. She began refusing some of her favourite foods which got me thinking, something must have triggered a sudden change, she would always ask for the same meal - pasta. On reflection I realised the change coincided with me going in and out of hospital and subsequently spending a lot of time visiting Oscar in Intensive Care. Her routine was all over the place and we really weren't spending much time as a family, let alone having meals together - which was something we always used to do at least once a day. Something that is likely to be pretty controversial is allowing her to go to bed hungry (of course we don't and haven't ever let her starve), if I cook a meal and she doesn't eat in then I won't make her anything else and she won't be allowed her cup of milk before bed. If I make something new, she tries a bit and doesn't like it we encourage her to eat other things on her plate, for example, she hasn't eaten chicken for a while, but she will eat the veg, if she refuses to eat anything then she goes without. More often than not she will think about it for a while, and then eat it after all, but there have been a couple of occasions where she's gone to bed without. Some won't agree with me I'm sure, but children learn so quickly and if we gave into her once it wouldn't take long for her to realise if she says she doesn't want/like what I've made she can have something else. 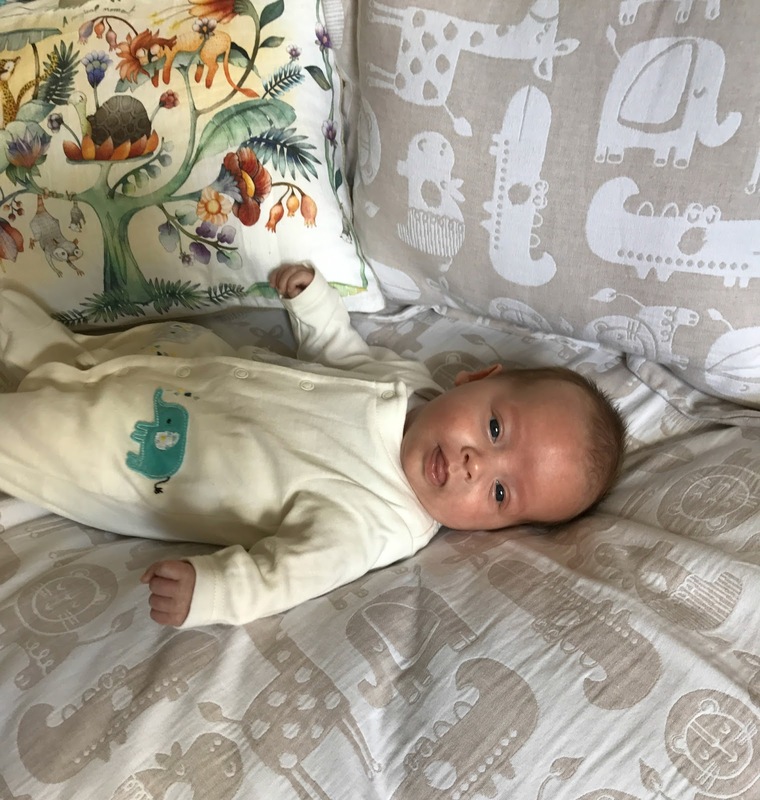 I am sure we can all agree how brilliant muslins are when you have a baby, between Emelia and Oscar they are probably our most used baby item! I hadn't come across Aden + Anais, until my pregnancy with Oscar when searching online for packs of muslin I stumbled across them and immediately loved their designs. I read a few reviews about them and how good the quality was so decided to order a pack to see for myself. I had a terrible time trying to decide which ones to go for, but in the end chose the Jungle Jam set. Potty training was the one thing I dreaded. I had no clue where to start or what to do. We introduced the concept of the potty to Emelia fairly early on, I tried a few different techniques but in the end having a potty visible in the house seemed most effective, we had one downstairs and one upstairs. She seemed to understand what it was for but at one stage became a bit freaked out by it, at which point we just left it and didn't push it again. It wasn't long before one day she started using it again herself. She did so, consistently all day and has been dry ever since (minus the odd accident here and there!). To be honest we have been very lucky with her, I strongly believe when they're ready they will pretty much potty train themselves, which is really what happened in our case. Unfortunately Brett and I can't take much credit for how quickly she became potty trained. However, I expect next time round won't happen so easily! Emelia absolutely loves fairies and was so excited when we talked about creating her own fairy garden. Fairy gardens are magical and brilliant for imaginative play. Originally we planned to create it in our garden but as the weather is so unpredictable, we were worried it would get destroyed. After rethinking and scouting around to see what we could find, we decided to make a fairy garden perfect for indoor or outdoor use. Emelia was even more excited when she realised she could transport the fairy garden wherever she wanted, especially the thought of taking it to bed without having to deconstruct it. Once we collected the items we needed it was a relatively quick and easy thing to make, Emelia really enjoyed helping and putting the ornaments into place. Making your own fairy garden means the design is purely down to your child's creativity and imagination. Emelia was in the forefront of our minds when we found out we were expecting. We spent a lot of time thinking about how we could prepare her for the change, my main concern was that she would feel pushed out, especially if I had to stay in hospital for a few days. Brett and I wanted to make sure my pregnancy was a positive and exciting time, and while the first 5 months were spent relatively stress free (with the exception of moving abroad) and focused on building Emelia up to being big sister, the last couple leading up to Oscar's arrival have been testing, to say the least. I am sure we would all love to go back in time, even for a moment to give our teenage selves a bit of advice. If you've got a toddler I'm sure you'll be aware of The 10 Commandments. These commandments are ESSENTIAL to the smooth running of mealtimes - disobey if you dare! If you are still blessed with a speechless, non argumentative baby or you're in pregnancy bliss, congratulations, you've got a head start, some of us were not privy to these rules and we spent many a meal time suffering for it... consider this training - you're welcome. This week has been full of emotional highs and lows, but today, the sun is shining and the weekend is approaching. 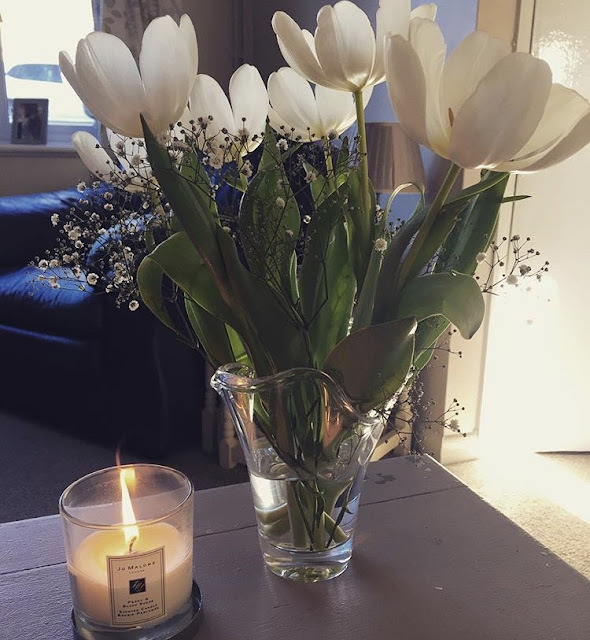 Thinking about writing this post has really helped to lift my mood, there has actually been a lot of good in this week, sometimes it's easy to forget the good and positive things and focus on the negative moments. When I started my blog my intention was to post weekly updates of Oscar's progress in NICU. Needless to say, life happened and that plan did not. Here is my beautiful new changing bag, the Jem+Bea Jemima bag in black leather and I love it. Having studied the entire Jem+Bea collection it’s safe to say I could fill my wardrobe with all of their bags. I’ve always kept an open mind when it comes to breast and bottle feeding, I breast fed Emelia for 6 weeks before having to move on to bottles due to my milk drying up. Many will say ‘you know what you’re signing up for’ when you marry someone who is in the Military. I don’t think that statement could be further from the truth, the fact of the matter is, you may have an idea or fantasy about what life will be like, but until you are living it nothing can prepare you for the ups and the downs and the uncertainty that military life can bring. For any of you reading this who are new to military life there are a few things I have learnt that I’d like to share with you. I wasn't planning on writing this post until the weekend, but unable to sleep or relax I started making notes, which then turned into a full post. So here it is, my labour story. What a horrible day to be lying in hospital in isolation. 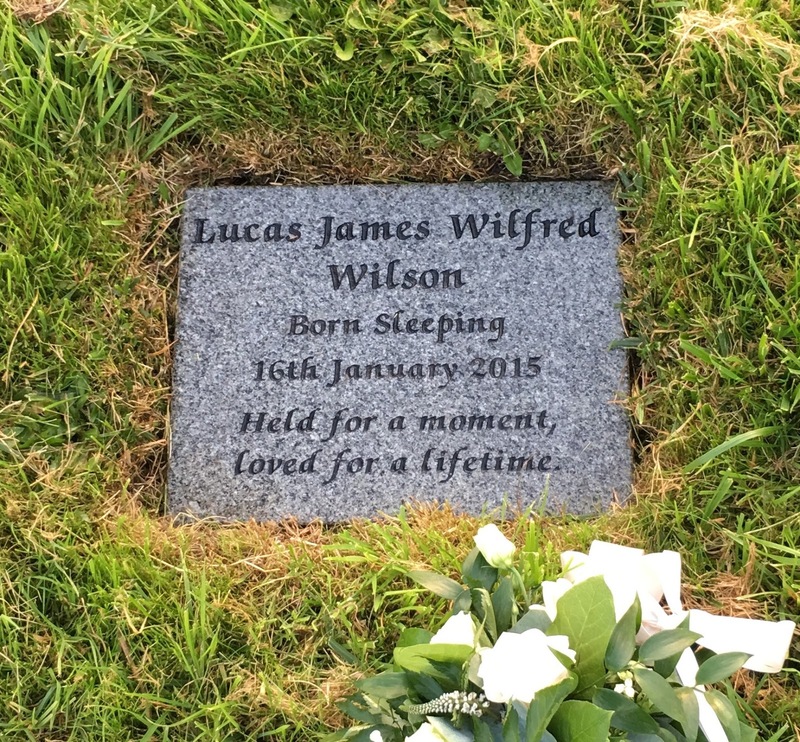 Actually everyday has been awful for that, but today especially, today, 16th January marks 2 years since we lost Lucas, something that almost destroyed our marriage but somehow also made it stronger. Hi, I'm Rebecca. 26 year old wife to Brett and mum to Emelia and Oscar (plus one on the way)! My blog is a raw and honest account of our life as a family, the challenges we face and the good times we share. Here you'll find everything from gift guides to parenting tips, recipes to reviews! I love beauty, fashion, summer and I have an incredibly sweet tooth! © Me & You Raising Two . All rights reserved.